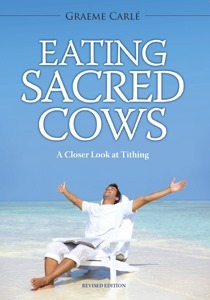 View cart “Eating Sacred Cows” has been added to your cart. To tithe or not to tithe. Tithing is one of the most misunderstood and abused aspects of modern day religion, and there are fine Christian leaders on both sides of the issue. Images of tele-evangelists and pastors living extravagant lifestyles can fuel resentment and mockery, but the defence is often that God’s ‘prosperity’ ideal is being upheld (at least for the receiver of tithes). But what of the givers? Many Christians testify how God has blessed them for tithing, but many others are disappointed, often too ashamed to speak openly in case they are ‘letting God down’. Sermons on tithing almost always quote Malachi’s rebuke of ancient Israel, “You are cursed for you are robbing God! Bring the whole tithe into the storehouse…” (Malachi 3:8–9). But what exactly did Malachi mean? Doesn’t God still want us to tithe? Well, not in the way we are usually taught today. Citing Biblical texts about tithing that are rarely, if ever, referred to by those teaching tithing to fund the church, Graeme Carlé shows instead how God wants us to receive a revelation of His goodness as we take time off to enjoy annual holidays. He also wants us to be generous, giving freely to those in need rather than tying up our resources in unnecessary church assets. Find out for yourself how to stand firm in your freedom and enjoy being generous! Eating Sacred Cows is Graeme’s most controversial book. 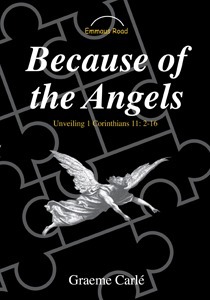 This expanded and revised edition is essential reading for Christians today. How Then Should We Live and Give?